It’s the final touches that make a house feel like home. From bold artworks to floral arrangements, the options are endless when it comes to styling. We like to keep our finger on the pulse of new interiors trends, and love to experiment with new fabrics, textures and materials. Looking to reinvigorate and rejuvenate your space? We’ve found just the thing you’ve been looking for! Crystals are the must-have styling accessory this season. Not only do they add instant glamour and drama to any room, but they also have potential restorative health benefits. 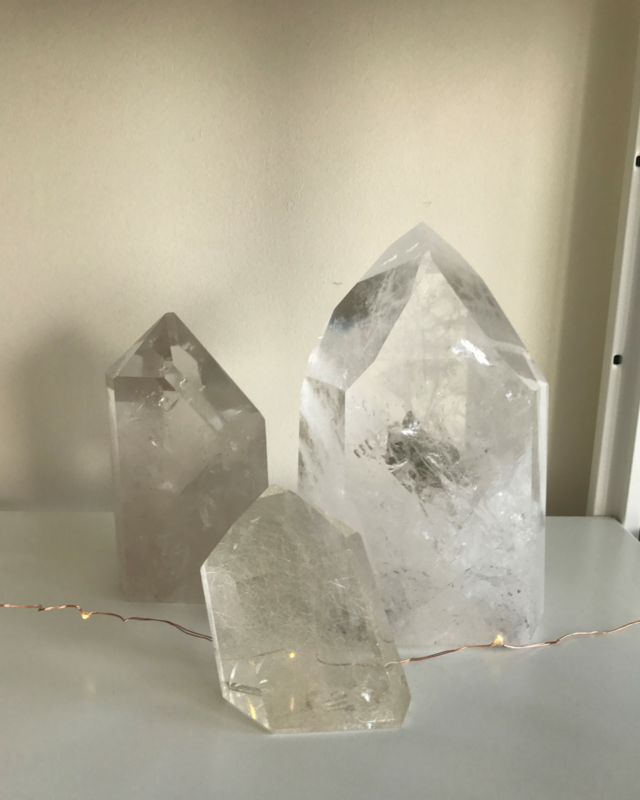 We asked Our Director and crystal lover Justine Wilson to explain the science behind their healing powers and how to maximise the impact of crystals when styling. Crystals have been used as healing tools by cultures for thousands of years. 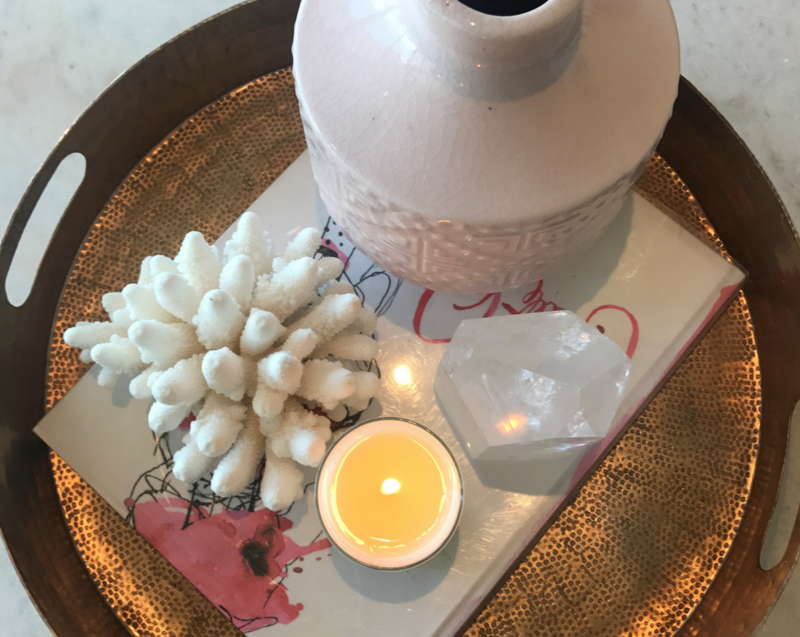 These natural minerals are found in various locations around the globe and have been adopted across time as part of ceremonies and rituals for health restoration and recovery. SO, WHICH CRYSTAL IS RIGHT FOR YOU? Crystals come in many shapes and forms, each with its own purpose and benefits. Their colour and size depend on how they’re formed as well as what group of crystals they belong to. 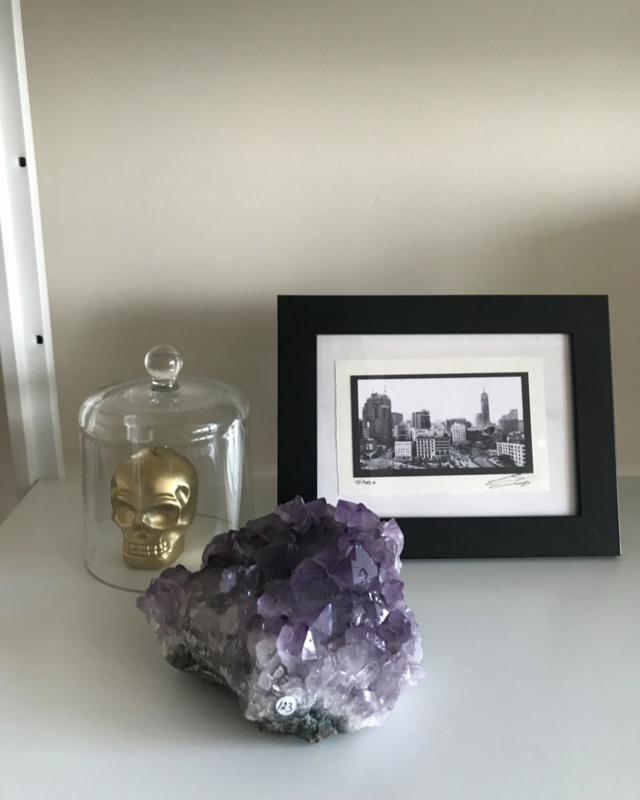 When styling with crystals, think about the kind of mood you want each space to evoke and choose a crystal to best compliment that. 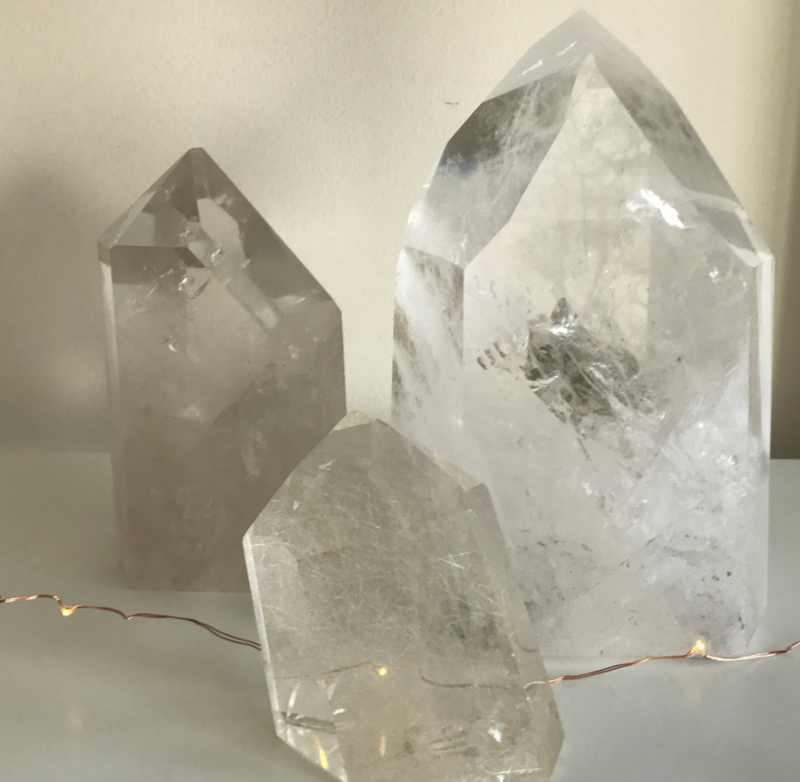 For crystal novices, Justine recommends clear quartz as it is “the perfect starting crystals, followed by amethyst, both of which are easy to find and very beautiful”. Want something to uplift and inspire positivity? 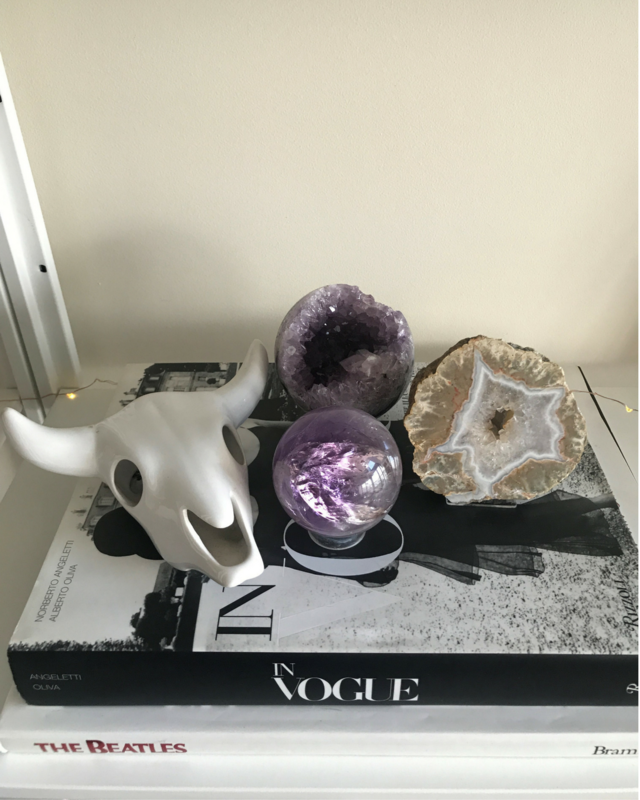 Amethyst is renowned for its mood healing potentials, and pyrite is perfect to dispel negative energy. Welcome abundance and prosperity with citrine, and boost romance with the addition of rose quartz. NOW ITS TIME TO GET STYLING! 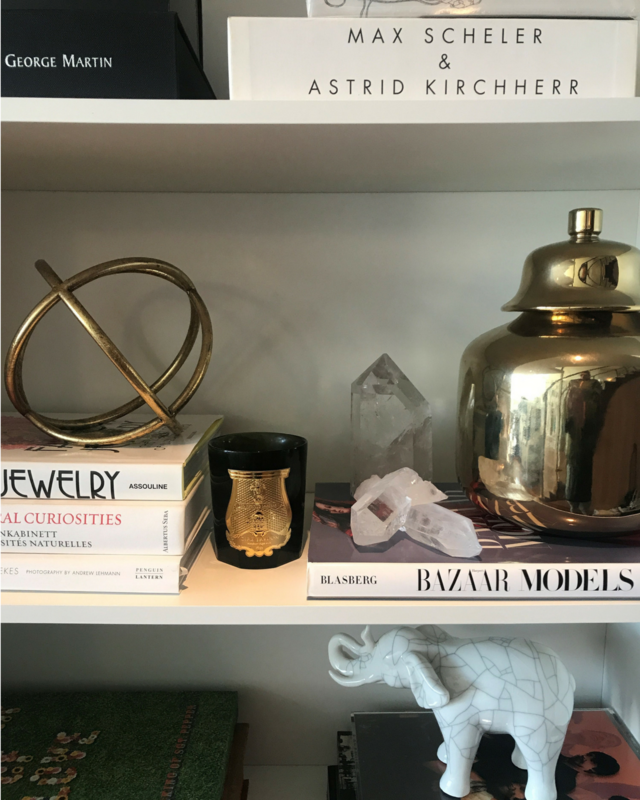 Like any interiors trend, placement is crucial when it comes to crystals. Use these items to compliment your existing home décor, and to revitalise your space and interiors. Bring your coffee table to life with an eye-catching crystal centrepiece. 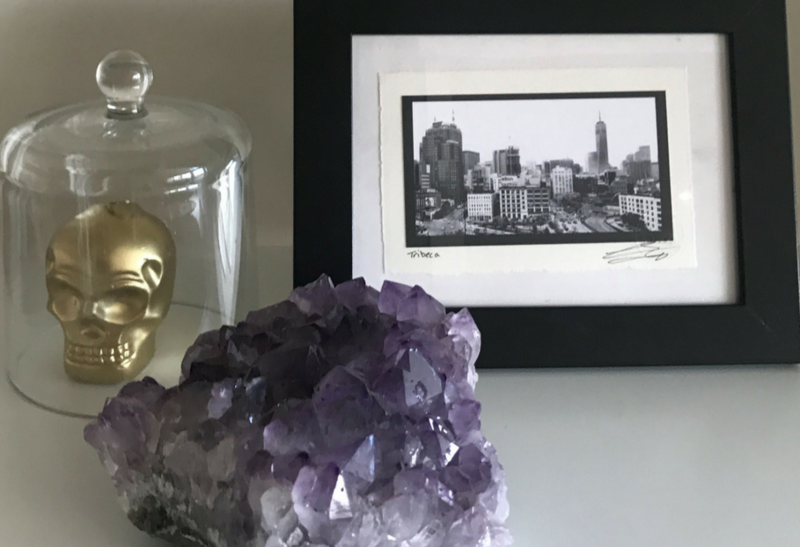 Opt for large clusters of amethyst to help purify stress and worry, and place on top of stacks of magazines or coffee table books. 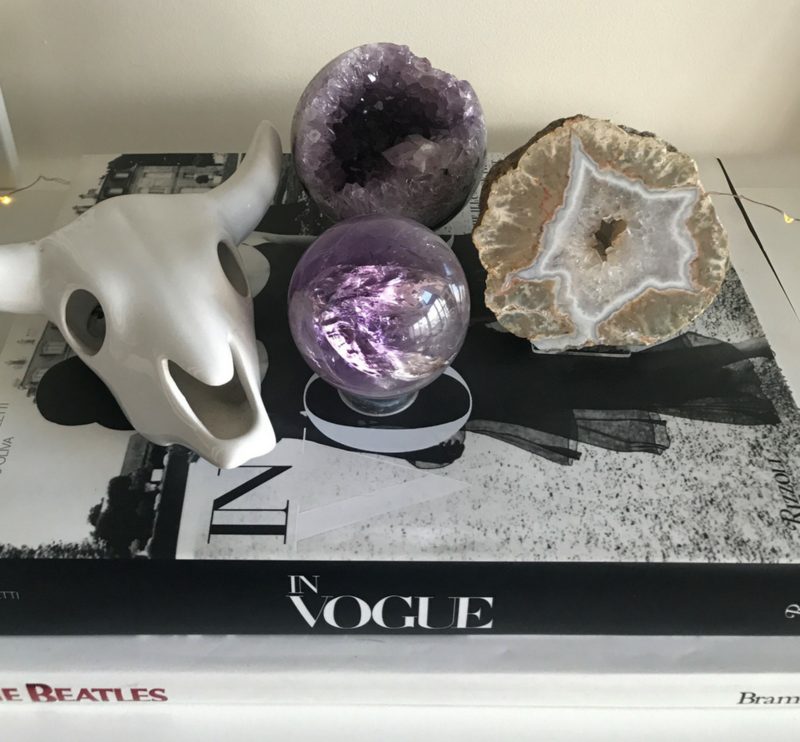 Keep it simple with on-trend agate slices, which Justine explains “make beautiful bookends on bookshelves, or even drink coasters”. Create visual impact by using strings of LED fairy lights around crystal arrangements on bookshelves and countertops. Why not really make a statement by adding bowls of small stones to bedside tables, and by placing alongside pot plants and candles in places the sun will radiate their beauty?